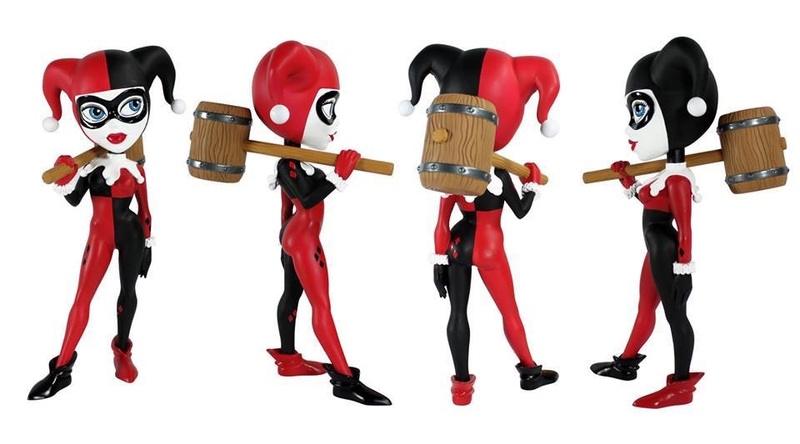 She's Fantastic: Funko's Vinyl Vixens HARLEY QUINN Released! 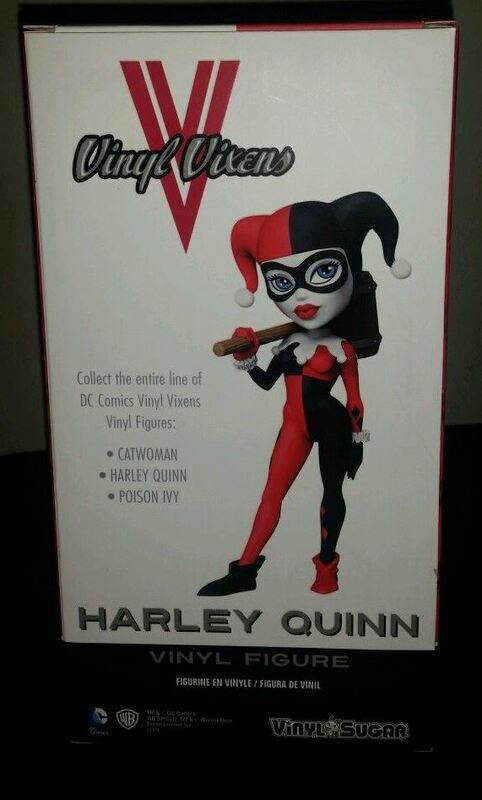 Funko's Vinyl Vixens HARLEY QUINN Released! 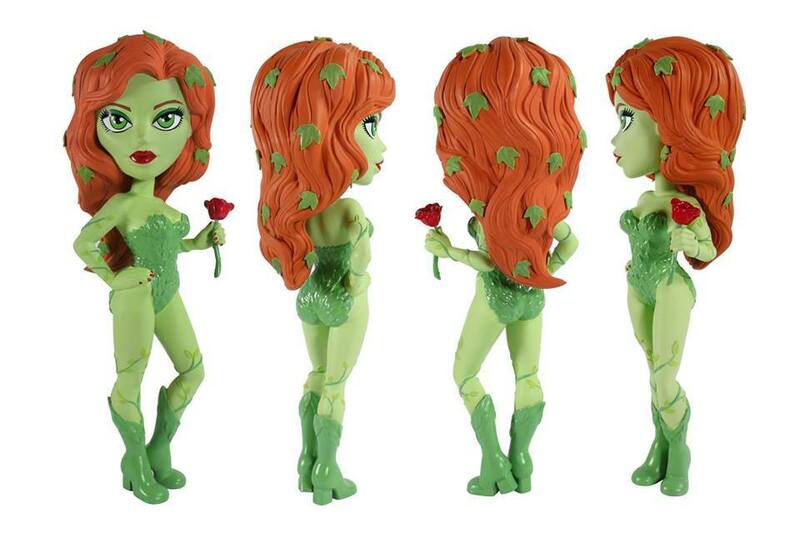 This figure was a surprise to see in stores before Toy Fair A few months ago, I noticed a pinned post on a Funko forum asking people not to discuss or post pictures of the Vinyl Vixens before they were officially announced. 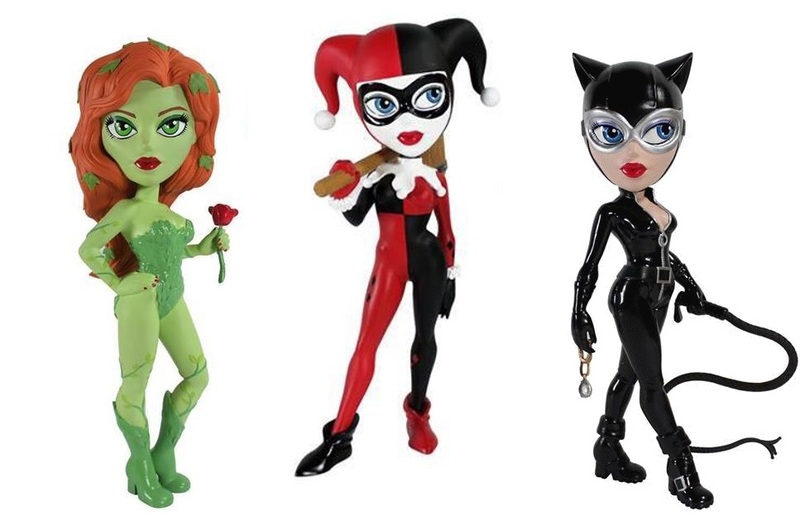 I was clueless so of course I googled it and found these really cool glam shots of Catwoman, Harley, and Ivy in a new style from Funko. Then I hadn't heard anything until this morning when one popped up in my eBay feed with that little telltale "Hot Topic Exclusive Pre-Release" sticker. 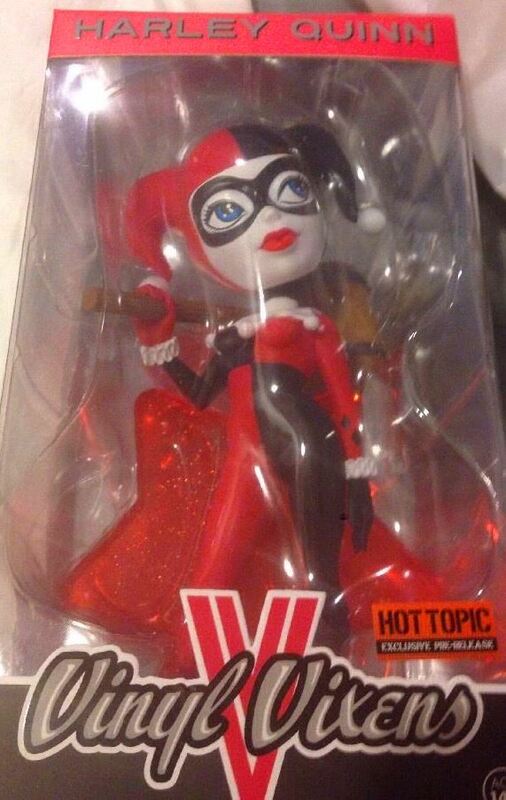 I hopped over to my local Hot Topic and sure enough they had three right on top of the new Harley display. I'm a little shocked at myself because I left the store empty-handed after some serious mental anguish. I love Harley. I love Harley even more when she's with Catwoman and Ivy. However, there were a couple aspects of this figure I was unprepared for (which turned me off). I'm still amazed that I overcame my temptation and made a rational collecting decision. I guess I'm growing up (a little). Okay, the two issues that led to me rejecting this purchase were this: First, they're big. If they were 5" tall I'd get them in a heartbeat, but at the larger size they remind me of costumed Bratz dolls. The other detractor was the price. At $29.99 they were the most expensive Funko product I've ever seen. The thought of spending $90 on my trio was depressingly out of my reach though. But hell, that doesn't mean I can't post a bunch of pictures I found on eBay! 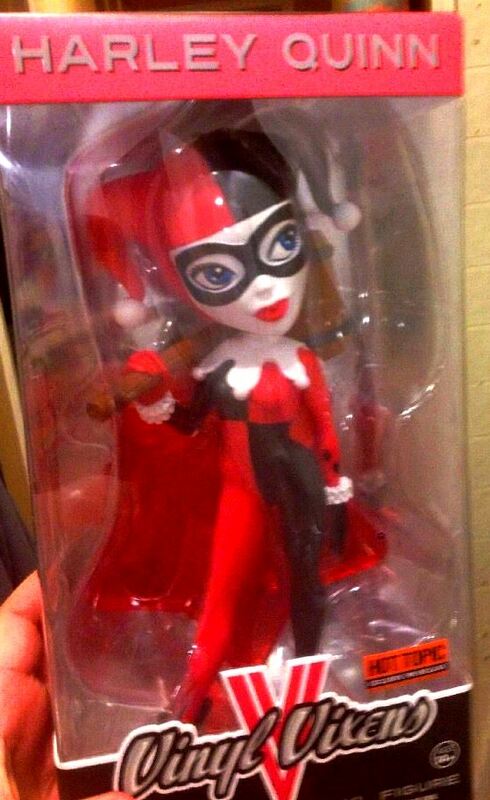 Let's check out Harley! Dang. 30 bucks! And larger scaled than POPs - Not sure I'm willing to deal with the cost and scale myself. I'll have to check her out in person but this might be one I pass on. They're all super cute though! 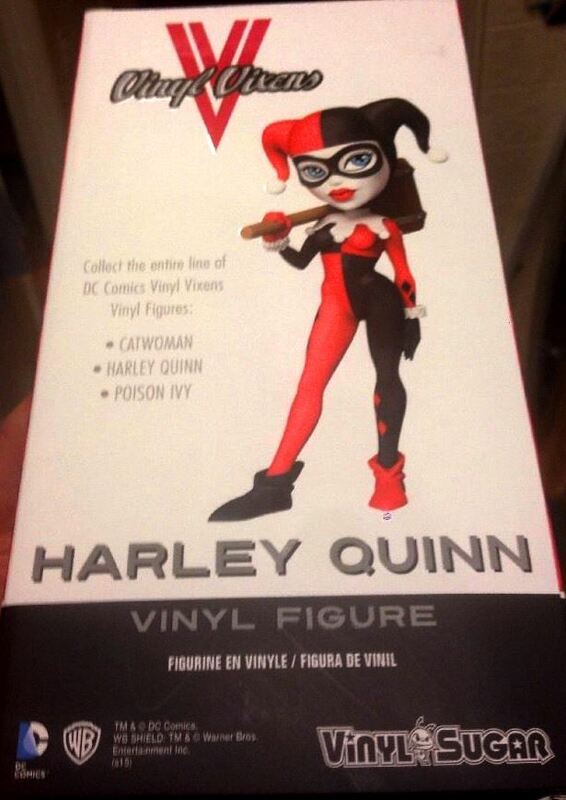 I also just saw the Harley Wacky Wobbler tonight at my lcs. I passed on her, too (for now at least). Her face just seemed a little boring somehow. Plus they may have been overpricing her at $17.